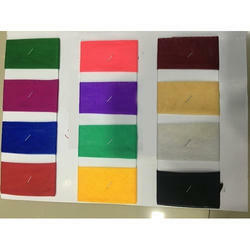 Manufacturer of a wide range of products which include plain silk fabric and plain silk soft net- polyester fabric. With the support of astute professionals, we are involved in providing best quality Plain Silk Fabric. Designed and developed thoughtfully to represent the modern textile innovation the offered silk fabric is perfect example of our industrial leadership. Ideal for making blouses, tops and bottoms of party wear dresses, the offered fabric features trendy linear textures which we have attained by utilizing the next generation weaving techniques. Further, it is made from finest quality polyester yarns and can be ordered with 44” width at a leading price. 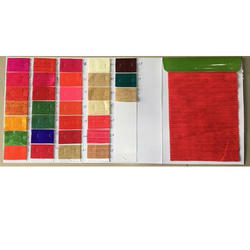 With the support of astute professionals, we are involved in providing best quality Plain Silk. Designed and developed thoughtfully to represent the modern textile innovation the offered silk fabric is perfect example of our industrial leadership. Ideal for making blouses, tops and bottoms of party wear dresses, the offered fabric features trendy linear textures which we have attained by utilizing the next generation weaving techniques. Further, it is made from finest quality polyester yarns and can be ordered with 44” width at a leading price.